ALWAYS BEAUTIFUL,USEFUL AND INTERESTING.THANKS ONCE MORE FOR SHARING YOUR WORK. I think of your worksheets everyday... I wish I were your student :p Thanks again! My stds loved the others ws of yours. thank you so much Mena, You have my emai, if not let me now. Thank you so much it is really useful as I´m teaching this topic to my 8th grade students. I must confess I have already used the other about TV and the media. Our hard-working Mena...What an inspiring person you are!!! Your worksheets are always just... EXCELLENT ! Thank you so much for sharing with us all ! Thanks for sharing! 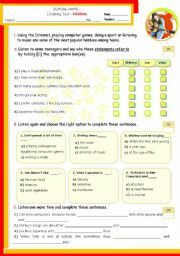 it´s great.You must spend so many hours on all those great and rich worksheet... Amazing! Thanks a lot for all these wonderful WS you share with us. I love them a lot, they´re always interesting and cute. Great!!! Thank you so much dear Mena!!! Awesome dear mena!!!!! Thank you!!! Excellent as usual. You´ll have lots of audio files to send it would be a lot easier if the site could host the audio files which go along with the worksheets. Wonderful as always. Thank you very much for sharing! tHANK YOU SO MUCH,mENA!! Your work is GORGEOUS, FANTASTIC, AWESOME!! We learn a lot from you Thank you for sharing! It s great!! congrats! Could you please send me the files? thnx! This looks like a great worksheet! but how do you get the audio file? 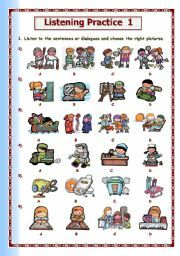 This worksheet is perfect for my kids. Thanks!!! I love your work. Could you send the audio files to my mail? Thanks! Your work is really interesting and unique. Just wanted to say thank you for your fine contributions and for sharing with all of us. It certainly helps us with our classes and broadens our horizons. Great Mena! posted by Cyn. This is exactly what I needed... Thanks for sharing!!! Greetings from Brazil!!! You are a very talented artist!!! Your printable activities for sure are pieces of art!!! Kisses from my students to you!!! Thanks alot fo sharing it, ut i´m a little confused with the audio file. Thank you so much. Have a nice day too! just what i was looking for mena, you are amazing!! Useful Mena, I love all your works! thanks alot! Hello, thank you very much for this worksheet! but can you tell me where I can get the audio files? Excellent worksheet. Thanks x sharing! Your worksheets are really great! Thanks for sharing your hard work. Thanks once again for sharing your work. CHEERS MENA! 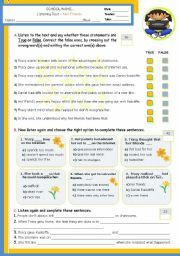 THIS WORKSHEET WILL BE GREAT FOR MY INTERMEDIATE STUDENTS! I WAS STUCK AND FOUND ALL THE LISTENINGS ABOUT THE MEDIA REALLY BORING... THAT WILL SAVE MY DAY. MY E-MAIL IS [email protected] thanks again and have a nice day! thanks for sharing! but where can i get the audio file? 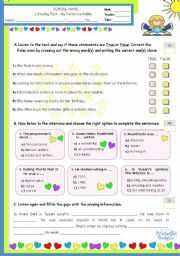 Hello, Thank you very much for your worksheets, they are really good. I´ve just download the listening about television, how can I get the actual listening? I cannot find the words to tell how perfect your worksheet is. Thank you ... Would you mind sending me the listening files? Once you are from Portugal I think I can greet you in Portuguese, can´t I? Well, I would like to thank you for such an amazing worksheet! Congratulations! What a great job!!! But I also would like to ask you for the audio files. Could you send them to me? Do you teach professional classes? All your worksheets are amazing! Thanks a lot for sharing! Very creative and useful! Thanks Mena.Great work .I am waiting for the audio files. your worksheet is great but I would like to know how to download the audio files. Thank you, Mena! I can´t help admiring your creativity and desire to share!!! Thanks!!! Thank you very muuuuuuuuuuuuch for sharing. Could you please send me the audio file? thanks a lot !!! its great! thanks for another excellent ws!please send me the audio files. Hello there! i have just found this cool web-site and found it very useful for my teaching activities. I´m really interested in your worksheets. they are GREAT! btw, how can I get the audio files? 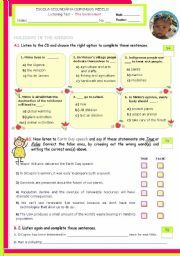 Thank you so much for the worksheets you prepare.I really like them a lot and find them useful. SO USEFUL!! THANKS A LOT!! this is absolutely wonderful, thanks a million!! i guess it´s the first time i download something from your creations and it´s really nice. Thanks for the The media television listening test. Can´t wait to use it. Can you send me the audio files please. Thanks for sharing! I am going to keep this one for future use. Hola, felicitaciones es un buen trabajo de listening pero me gustaria que me enviaras los audios a mi correo personal [email protected] te lo agradecere mucho. Fantastic materials! As usual:) Thank you very much! thanks a lot. İ´d be grateful if i get the audio material. I love your worksheets!!! you are very creative!!! Thank you very much for the worksheet, you have saved my day. I am new to this thing called teaching and I find very difficult to create my own so far. Could you tell me where I can find the audio file? It just what I am looking for. Thank you so much for your excellent worksheets. Have a nice day, Mena. Hugs. I´m looking forward to it.Have a nice weekend! I need the audio file to use this activity and the references as well from where you took the original texts. Thanks in advance for it. 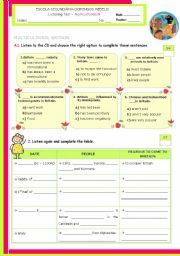 It´s very helpful your worksheet. How can I do to get the audio files. 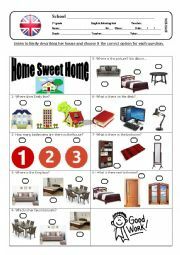 Thanks for sharing a nice worksheet! Thanks for sharing! Please send me the Video file as possible you can. Thanks in advance! I was looking a listening activity for my students, the topic was 2mobile phones" and here you are. I can´t wait to use it with my students. Tank you very much. 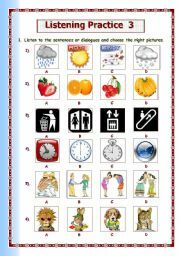 I was looking a listening activity for my students, the topic was ´mobile phones" but I think this is a great activity as well. I can´t wait to use it with them. Thank you very much. thank u so much for this. It really helps. Do u mind sending the file to me? Thanks again, Mena! I really have no time to make new worksheets now because I´m doing my master´s :-) And your worksheets are a bless! Thanks again. I´m looking for listening activities and it seems they are all yours! Your worksheet is so useful but can you send me the link to the audio because I can´t see it. 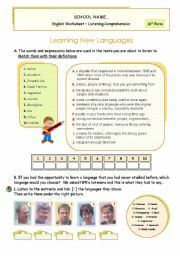 I´m really eager to use for my students! Thanks so much! I love the activity and I´d be really grateful if you could send me the auio files. Can you send me the audio? You are simply great! Thanks. 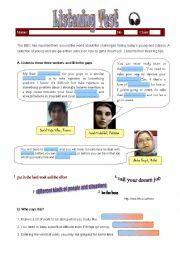 This will be great for my IELTS class. Could you send my the audios please? Thank you, dear Mena! Your worksheets are excellent!This is just what I need this week. Could I have the audio files, please? All your worksheets are incredible, my students and I love them! Could I have the audio files, please? I just love your handouts! You´re wonderful :) Would it be possible for you to send me the audio files from this listening - The Media - Television? Thanks a lot 4 sharing!!! Thanks a lot dear Mena! Thank you Mena. I use your worksheets every chance I have. They´re great. Could you send me the audio file to [email protected]? Great work ! can I have the audio file ? thanks ! Thank you for sharing. Would you please send me the audio files on [email protected]? Could you send me the audio files? Thanks a lot for sharing. Awesome as always. Nice nice work, could you please send me the audio files? Thanks a lot!!! 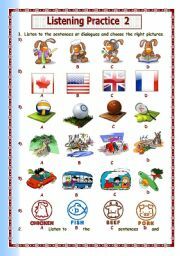 I don´t have this one because it was sent in 2009 an I am a ESL printables member since 2010. Thanks for this excellent worksheet as always dear Mena! Have a nice day! Big hugs from Galicia! thank you very much! It seems to be great!! but where do I get the audio files??? Thanks for your work! Is it possible to have the audio files? You´re doing a great job, by the way, I love your worksheets! Hello, dear Mena! Do you still have this file to send me? Thank you for such great material. Could you send listening tracks to [email protected]? Your worksheets make my teaching a lot easier and fun!! 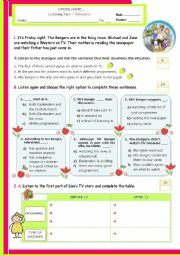 I have just downloaded your worksheet : listening activity about television. Great as usual !! Could you send me the audiofile. Thanks a lot again. By the way, the listening about tatooes and piercing got through really well . I did it some days ago. Once again a great work, can´t wait to have the audio files to use them. I know this worksheet is old but if you have the audio files, could you send them to me? Thank you in advance and Merry Christmas and a Happy New Year. Hugs!! Hello everybody. 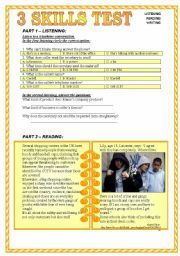 I downloadaed this worksheet but can´t seem to get in touch with Mena for the mp3. If anybody has it please could someone email it to me? [email protected] Thanks so much. Thanks again!Just Fabulous)May I ask for the audio file? NICE WORK , AS USUAL!! THANKS A LOT. Could you send me the audio, I will be grateful? thanks in advance. Thank You Mena for you splendid work. I´ve just downloaded this ws, could you please send me the audiofile? Thanks a lot. I love your listening tests! I´ve just found this excellent test and I´m certainly going to use it. Could you please send me the audio files?Thanks a million! Thanks so much, I love your listenings! Truhan a lot.Your worksheets are really meaninful.Where can I get the audios? I was looking for old listenings and I found this one. Do you still have the audiofiles? Thank you Mena! Thanks for sharing. Could you send me the audio file to [email protected] ? Thank you so much for sharing... You have very useful and interesting material. This is a very interesting listening test for my 10th graders. Can you please send me the audiofiles? 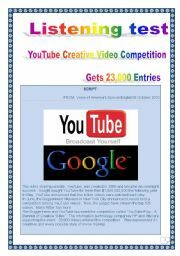 Can you also send me the audiofiles of another listening test - teen and addictions? This is the first time I see your worksheets and they are amazing! How can I get the audio, please? Thank you very much! It is always a pleasure to have access to your documents. It´s really very good material! Could you tell me where I could find the audio files? 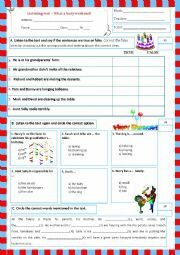 Very nice and well built worksheet. I can´t wait for the audio files ! Once again GREAT! Could you please send me the audio file? Thank you very much for sharing. Very useful and appealing as usual!! Thank you very much.Just what I was looking for!! Fantastic!! Thanks so much for sharing. I´d be grateful if I could have the audio file. Thank you for sharing such great work. Be so kind as to send the audio files to [email protected] . Thank you again. Thanks! Very very helpful... Can you send me the audio files, please??? Could you please send the audio to [email protected] please?!!!! This one´s awesome Mena!!!! Great job! Great test! Could I receive the audio files? [email protected] Thank you so much! Great work! 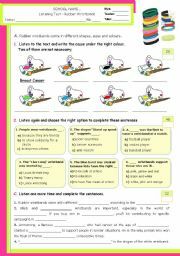 Really useful, as all your worksheets :) Thank you for sharing! Can you please send me the audio files by email: [email protected] Thank you very much!!! This really looks great! I think I´m going to use it in one of my "slow" classes. The beautiful lay-out at least will get their attention. can u send me the listenings? Thank you so much!!! Could you send me the audio files? I would need the audio files, could you send them?